Grab a rope and harness! The soon-to-be released book from the editors of Climbing Magazine have compiled a collection of stories in the 241-page book titled, Vantage Point. The book is divided chronologically starting in the 1970s, taking you through to the 2010s. The tales are written by notable climbers of each era, and include details of the evolution of the sport and the key players involved, the impact of climbers on the environment, epic climbing stories, and interviews with climbing legends. 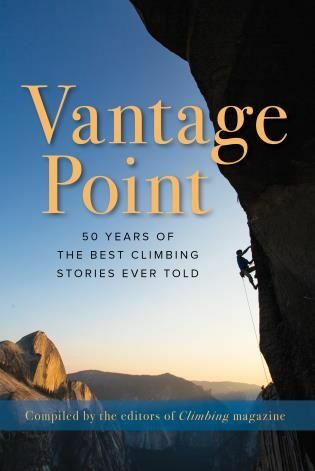 For a comprehensive account of the last 50 years in climbing, check out Vantage Point.